Brooke Johncox brings youth, joy and experience to the Bucket Fillers Team. She is a well-liked and energetic presenter whose genuine love for children makes itself apparent in her presentations. Her professional background includes music, childcare, theater, English and literature. 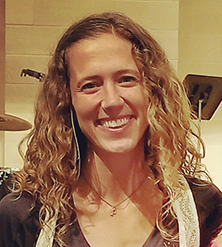 She has been a preschool and elementary school educator, missionary and camp counselor. Since 2007, Brooke has traveled across North America to share her contagious enthusiasm of the bucketfilling message in hundreds of school assemblies, teacher, classroom and parent workshops, as well as various business and professional development presentations. "Brooke was fantastic! So talented! Great program!"